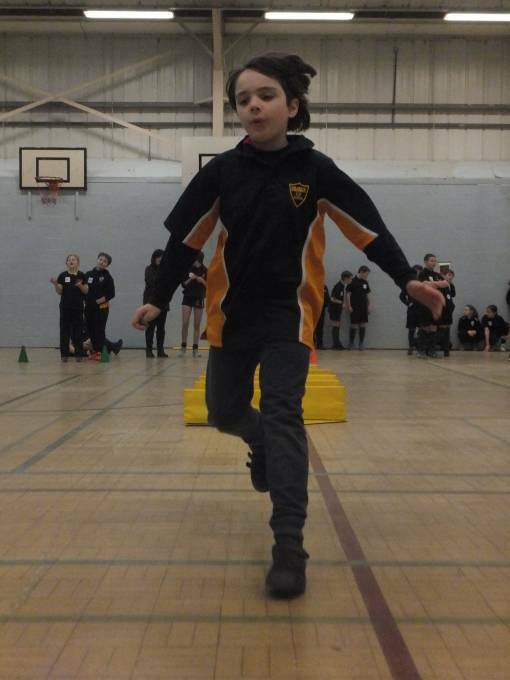 91 Y5/6 children came to Wykham Park Academy on Thursday 31st January to take part in a Sportshall Athletics Festival. The children from Dashwood, The Grange, Queensway, St. Mary’s, St. Leonard’s, Hillview and Hanwell Fields took part in 8 activities - continuous relay, target throw, javelin, obstacle relay, triple jump, high stepper, speed bounce and a fitness skipping station. The focus of the festival was Personal Challenge with the children being encouraged to use the powers of determination and self-belief to improve their performances…and it worked!! All the children reported that they’d improved upon first attempts and had lots of fun in the process. Well done to all the children! A team of 16 Y10 Sports Studies students from Wykham Park Academy took charge of the leadership and made a great start to the practical element of their Sports Leadership Unit. They worked really hard throughout the morning explaining, demonstrating, measuring, encouraging etc and made the event the huge success that it was. Thank you and well done!